Would love some extra money for the holidays. Thanks so much for all you do! It has saved me tons. Wishing everyone happy & safe holidays! Hope to win. Thank you! It’d be great to win this! I already follow your page on Facebook. Wow! Thanks for another great giveaway! This would be great to win! I love your site, thanks so much! I like your site on FB and I subscribe by email. Thanks for all that you do and would love to win this. 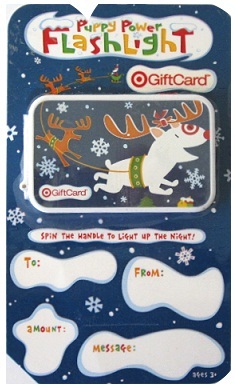 My girls have asked for Target gift cards for Christmas. This would be perfect. liked you in FB for a long time already. Thank You for Totally Target!!! Just in time for Christmas shopping! Thanks for the chance to win. Keep the deals coming! Thanks!